If you didn’t know better, it might seem like the GoPro action camera was made for fishing, not surfing. 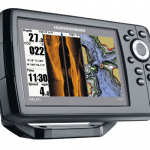 There are numerous mounts and accessories that are perfect for today’s kayaks and fishing boats. 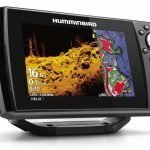 By utilizing the various GoPro fishing mounts, you can literally mount a camera to you or your watercraft, and catch all of the action from your day on the water. There are almost an infinite amount of angles and shots you can get using these mounts, and the only limit is your imagination. 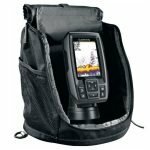 So, let’s get into the specific shots you can get and the mounts you can use, that will work on virtually any kayak or boat out there. There are several options to achieve the popular fish “hero shot”, where you pose holding out your biggest fish of the day. 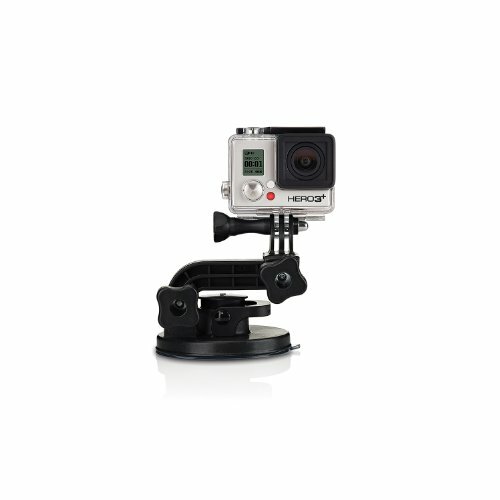 The Suction Cup mounting base will allow you to mount your GoPro onto any smooth surface of your boat or kayak. It will stabilize your camera for excellent “hero” shots, and the “quick release” allows you to use a variety of mounting accessories like the point anywhere swivel arm. 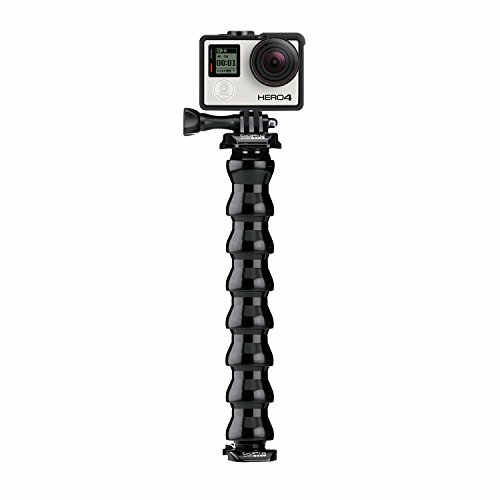 The Gooseneck flexible arm lets you precisely point your GoPro in the exact direction that you want, on any axis. This is especially useful if the stick on base mount does not sit flush on a flat surface. You’ll be able to compensate for this by using the swivel arm to bring the camera back to level on most angles. What really makes everyone feel like they are part of the action are the awesome first person point of view (POV) mounts. 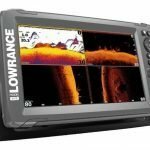 These mounts let everyone see exactly what you see with every cast, catch, and release. 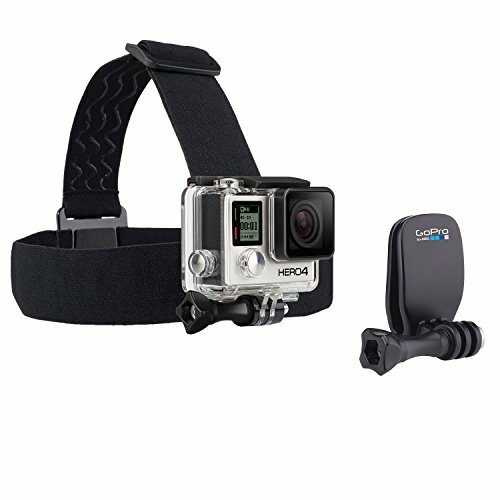 The Head Strap/Hat Clip is an extremely popular GoPro fishing mount that lets you attach the camera to your head pointing directly out front. This attachment strap will let you always keep the GoPro pointed exactly where you are fishing, and it will turn with your head. Essentially, whatever your eyes are looking at, the camera will be looking at too. 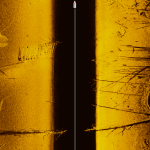 When you are watching your top water bait popping and walking over the water on a fast retrieve, so is the camera. When you set the hook and the fish leaps out of the water, you’ll get that shot as well. You can even use the head strap mount over or under a hat, that’s how versatile it is. 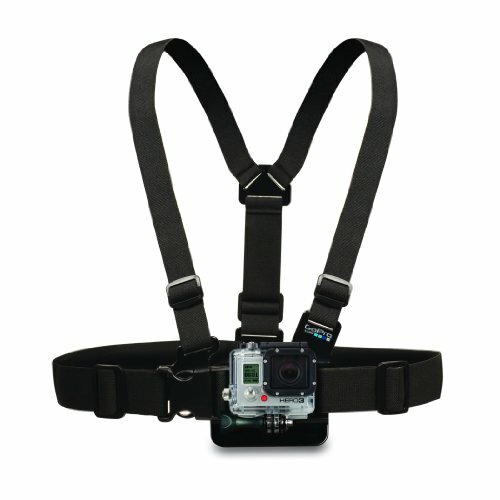 The Chesty chest mount will give you the best point of view experience directly out front. It is a more stable mount, so if you are fishing in rougher waters, this is a better point of view mount than a head strap. Your head may be bobbing around out on the water, but your chest will only move with the kayak for a more stable and higher quality shot. If you wear a helmet while kayaking, there is even a Helmet Front Mount that turns with your head, just like the head strap. There is even a side helmet mount for a more unique first person shot that would work equally well. When you mount your GoPro behind you and up high, you get a wide full screen view of you fishing. This is a step up from the boring and all too common shot from lower on the boat. It is way more interesting to see you casting, setting the hook, and fighting a fish. 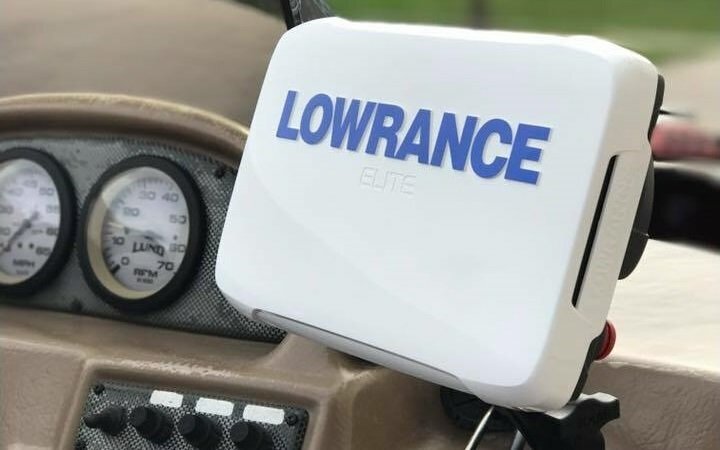 First you’ll need a base like the Suction Cup mount or adhesive mounts, and pair it with one or more Gooseneck extensions. It’s the gooseneck that gets the camera up a little higher, and you can attach several together, at 8 inches long each, to get a nice high angle rear shot looking forward. 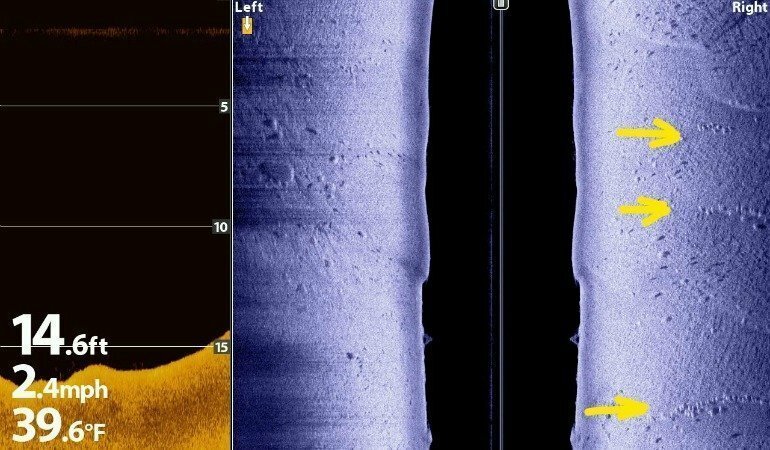 The rear high angle will give the viewer a shot that puts them into a perspective of being above you, while being a part of the entire fishing experience. 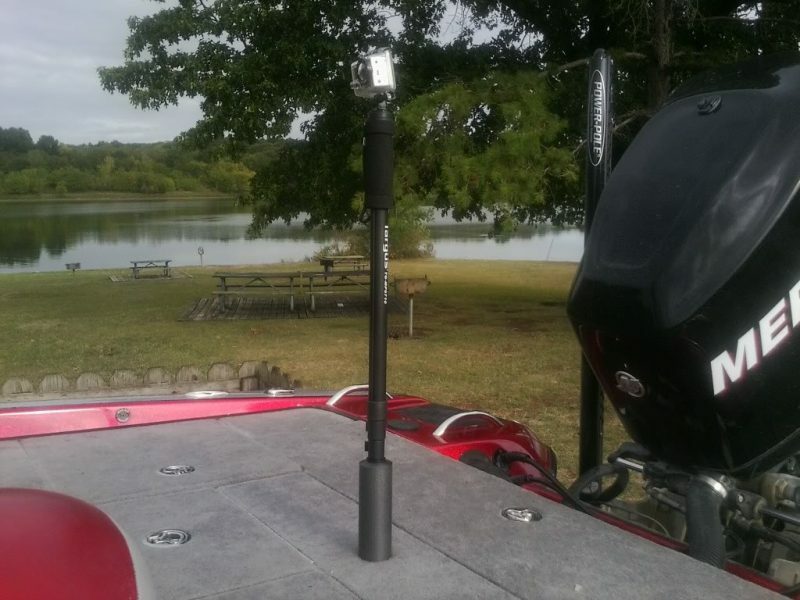 For bonus points, you can rig your boat with an aluminum or PVC pole in the rear seat post hole, and then attach the GoPro directly to the pole. 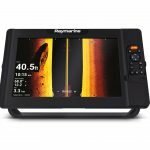 This will get your camera up even higher for a bird’s eye view of you fishing. Once again, select a base to use and attach a camera to it facing towards you. 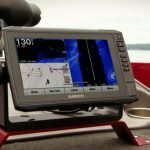 One option is to use the Jaws Flex Clamp with the included gooseneck, and attach it directly to the frontal cockpit coaming, or mount it on top of the trolling motor housing with either an adhesive or Suction Cup base, and use a swivel arm to line it up precisely. Your reactions, facial expressions, and body movements will all be caught on camera at this angle, and when you hook into a good sized fish and net it, the excitement and your smile will come through loud and clear. For this reason the Jaws Flex Clamp is widely considered the best GoPro mount for fishing. 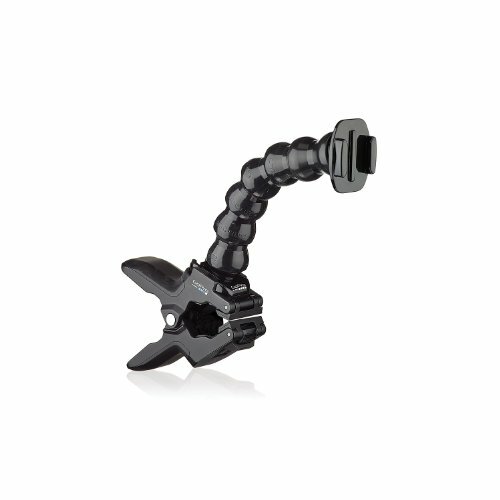 To get a unique side view of your day fishing, attach the GoPro to any edge of your kayak, or to the windshields and gunnels of boats, using the simple but sturdy spring clamp found on the Jaws Flex Clamp. You can clip it on the side edge of your kayak looking sideways at you, and you’ll get most casting movements that you make. For a higher angle, or for more distance between you and the camera, add another gooseneck into the mix. This will give you better depth perception, and it won’t make the viewer feel right on top of you. Some of these could be incredibly fun to use in the right circumstance, while giving some of the most diverse and distinctive shots that you can imagine. If you take your dog out with you on the boat, consider the Fetch Dog Harness so you can see what your dog sees. And because all GoPro cameras come in water proof cases, even if your best buddy jumps overboard going after a fish, you won’t have to worry about ruining the camera. When you are fishing with a partner, the Handler floating mount can be used as a hand-held extension that you can extend out with your arm. When you catch a fish, this mount allows your partner to pick up the camera to follow the action when you catch a fish. He can then move around you, and stick the camera underwater for an awesome perspective, all while you are free to fight the fish. The great thing about this GoPro fishing accessory is that it floats, so losing it when you attempt underwater fish shots is less of a concern. 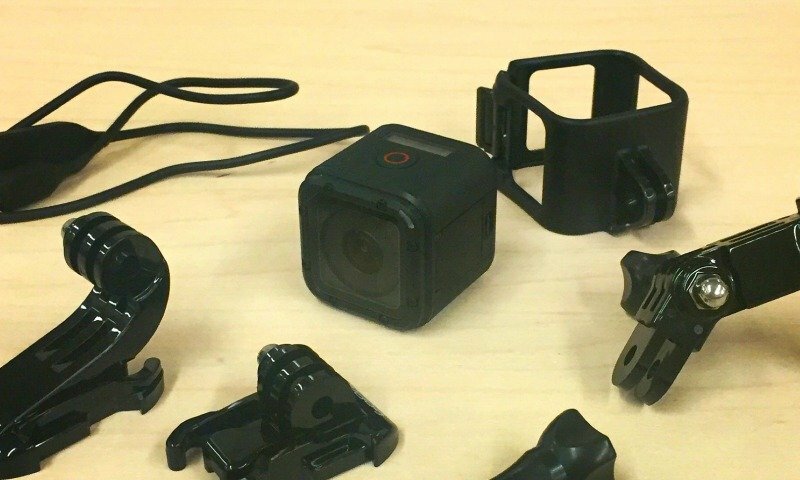 There are many other mounts available, from Wrist Strap mounts to Floating Hand Mounts, with accessories that will let you mount and conform your GoPro to virtually any surface, angle or shot perspective that you can imagine. All of these GoPro fishing accessories are a big reason why GoPro cameras are the best action cams out there. 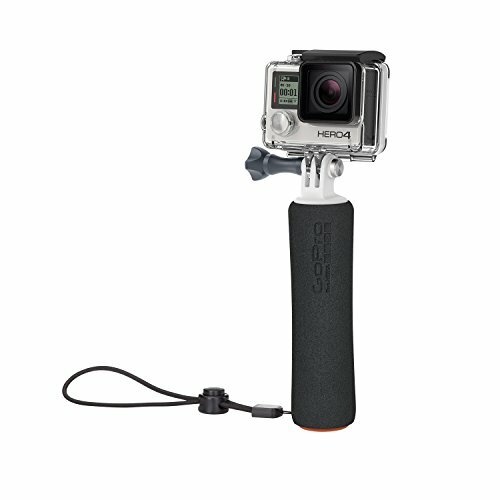 So, if you are really into fishing, there is no better way to capture and share your experience than with a GoPro camera. What is the mount in the very top picture? The one that is in the rear seat mounting location…. It is a camera monopod mount, modified to fit in the seat post hole. Is there any information on how the seat post mount is made? I have found the mods for the camera mount portion, but can find nothing on the lower post portion. I do want to make a seat post mount for a higher angle of recording, so if I build one I will post about it.